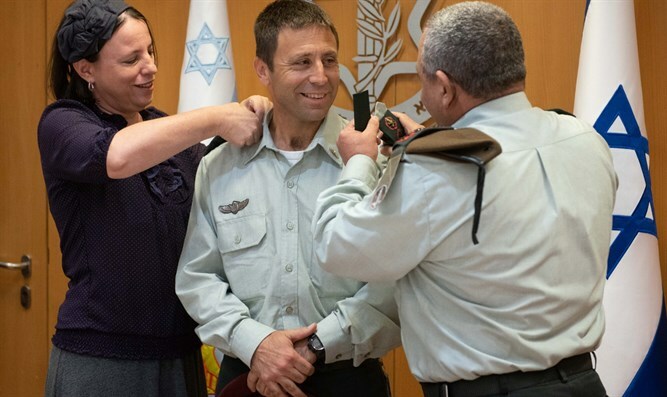 A new Brigadier General, Col. Avi Balot received his promotion at a festive ceremony held at the Kirya (Tel Aviv District Government center) as he assumes the title of military secretary to the prime minister. IDF Chief of Staff Gadi Eizenkot described Balot as “an excellent officer who carried out all major roles” who is fit for the position. "The military secretary to the prime minister is a very sensitive and unique role,” noted Eizenkot. Balot served as commander of the commando unit in the past year and will replace Brigadier General Eliezer Toledano, who served as military secretary to the prime minister over the past three years and will assume his position as commander of the Gaza division. Avi Balot also shared words of gratitude and praise for Toledano for helping him with the transition process. Eliezer, thank you very much for the direct, sharp, professional and quick on-the-job training,” Balot said.